Dr. Beebe uses one of the most popular “low force” chiropractic techniques in the world. The process begins by analyzing how well your spine moves. Dr. Beebe will test how well you turn and bend. While you’re lying face down, he’ll evaluate the length of your legs. This simple procedure can reveal significant differences in leg lengths. This time-tested protocol tells Dr. Beebe if vertebral subluxations exist and their location. It also helps him know when to adjust and when not to adjust. 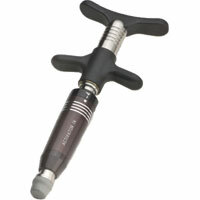 The Activator Instrument: the hand-held instrument delivers a precise, repeatable force at just the right angle. After your adjustment, Dr. Beebe will retest to make sure changes have been produced. Testing afterwards helps him deliver high-quality care and high levels of patient satisfaction.